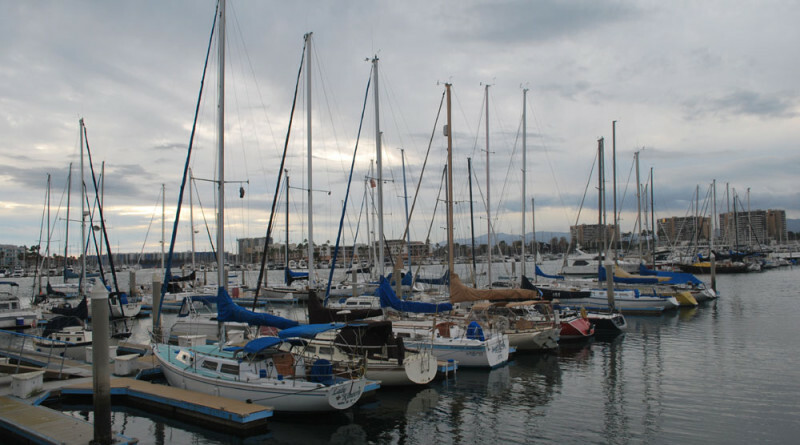 LOS ANGELES — Monthly slip rates for Anchorage 47 in Marina del Rey ticked up a little higher last month when the Los Angeles County Board of Supervisors unanimously approved an annual determination for renting slips in one section of the county-owned marina. Regular slip fees were set at $14.17-per-foot-per-month for a 20-foot boat and gradually increased to $22.40-per-foot-per-month for a 42-footer. Boats between 25 and 74 feet and attached to a main channel slip would pay the county a monthly fee of $35-per-foot; an 85-footer would pay $40-per-foot-per-month. End-ties would pay $27.48-per-linear-foot-per-month; liveaboard charges would be 55 percent of related monthly slip rent (in addition to the slip rent fee). County documents showed a 21-foot boat, for example, paid $12.33-per-foot-per-month for a regular slip at Anchorage 47 from July 2012 to June 2013, almost $2 less than the current rate for a similarly sized boat. A 74-foot boat was charged about $22.13-per-foot-per-month for an end-tie or special slip in 2012, substantially less than the monthly fee posted on the just approved rate sheet. Anchorage 47 is currently being rebuilt and is expected to be completed by May 2016; the new marina would feature 247 regular slips, six main channel slips and 11 end-ties. Two county residents told supervisors the slip rate adjustment would price out everyday boaters from the marina. Malibu resident Arnold Sachs predicted a slip fee increase would impact housing inventories on land. Sachs asked if supervisors had a plan in place to help boaters stay in their respective boats and remain docked in Marina del Rey, especially costs associated with TMDL compliance would make it harder for boat owners to afford slip fee increases. Slip rate increases would be capped during the first year of implementation. Supervisors approved a $15.5 million design-build contract last year to rebuild and upgrade Anchorage 47, which was built in the 1970s. The marina is managed by the county’s Department of Beaches and Harbors and located at the end of Mindanao Way in G Basin.